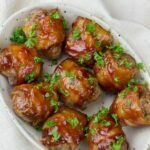 These bacon wrapped meatballs are drizzled with low carb barbecue sauce for fantastic flavor! Watch my recipe video! The post contains affiliate links, which means that at no extra cost to you I can make a tiny bit of money to help support this blog. Thank you! The meatball recipe is based on the ones I made for my Low Carb Spaghetti & Meatballs. Mix together ground pork, ground beef, a beaten egg, grated Parmesan, Italian seasoning, onion powder, salt and black pepper. You can prepare the meatball mixture in advance, if it is more convenient. Cut the bacon slices in half. Form the meat into a small ball, then wrap the bacon around it. Line a baking sheet with foil and place a non-stick baking rack inside. Place the bacon wrapped meatballs onto the rack, continuing until you have used all the meat. This recipe made 36 meatballs for me, but this will vary depending on the size that you make them. 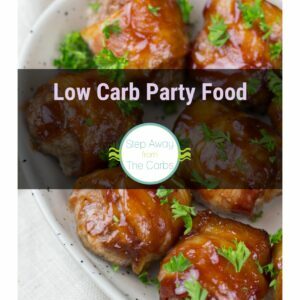 Bake in a preheated oven for 15 minutes, then brush the meatballs with low carb barbecue sauce – Guy’s Original is my favorite but you could also make your own by using my homemade recipe. Bake them for another 15 minutes or until cooked through. I’ve not given a serving size here because it really depends on how you’re going to eat them. 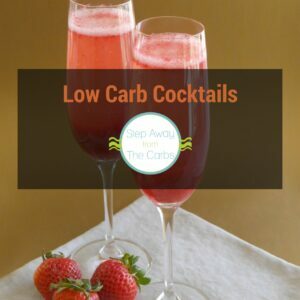 But at 0.4g net carbs per meatball, you can safely have plenty! Serve with a chopped parsley garnish and extra sauce for dipping! These bacon wrapped meatballs are drizzled with low carb barbecue sauce for fantastic flavor! 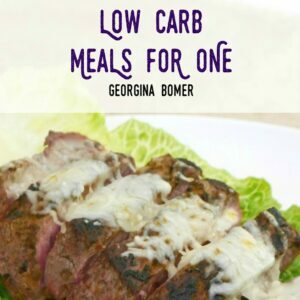 Mix together ground pork, ground beef, a beaten egg, grated Parmesan, Italian seasoning, onion powder, salt and black pepper. 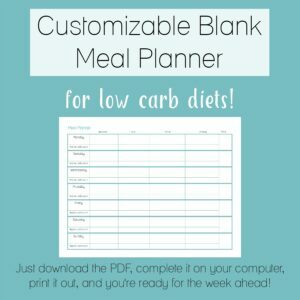 Line a baking sheet with foil and place a non-stick baking rack inside. Form the meat into small balls, then wrap the bacon around them. Place the meatballs onto the rack, seam side down. 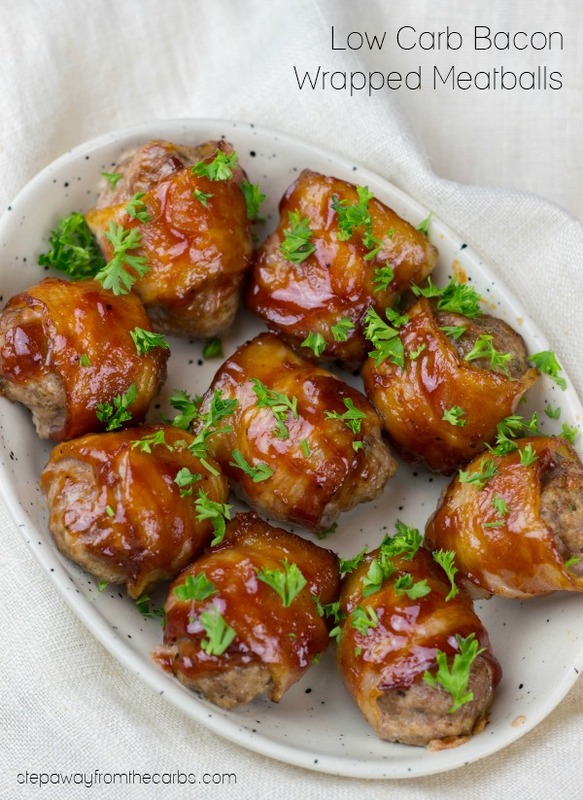 Bake for 15 minutes, then brush the meatballs with low carb barbecue sauce. Bake them for another 15 minutes or until cooked through. Serve with the parsley garnish and extra sauce for dipping. 2g net carbs per bacon wrapped meatball (incl sauce). Woah!!! WAY less italian seasoning! Maybe only 2 teaspoons or half a table spoon. It was OVERKILL. The bacon was still raw so I put the pan under the broiler for 5 minutes on each side, then topped with bbq sauce and broiled for another 5. The bacon kept it from drying out. Will make again with modifications in terms of seasoning. 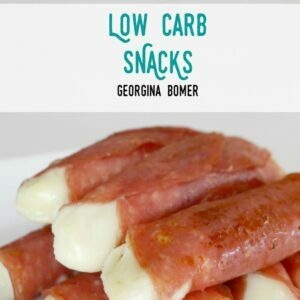 Made these tonight for my family- they are DELICIOUS! I made mine a bit bigger in size, so they took longer to cook. Other than that- taste and texture we perfect. Will definitely be making these again soon! Thank you. I’m so glad that you love them as much as I do!! !